Online communities allow individuals from across the world to share ideas, thoughts, and information. However, these websites also raise numerous legal issues, such as how to handle online harassment, ownership of information that is shared online and more. A problem users of online communities face is the legal ramifications of sharing copyrighted information. 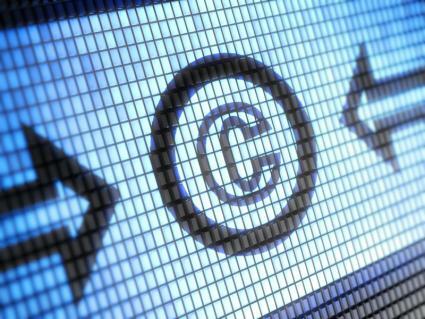 This may be in the form of posting copyrighted information online or disseminating it via file-sharing programs. Iowa State University states that not all file sharing is illegal, but that some files may be shared in a way that violates the rights of copyright holders. The Digital Millennium Copyright Act (DMCA) of 1998, which was signed into law by Former President Clinton, implements two treaties established by the World Intellectual Property Organization. These treaties make it a criminal offense to create programs or other technology that can circumvent protections of copyrighted works. This means that an individual who creates a program that can avoid online barriers designed to protect copyrighted materials can face criminal charges. The treaties also make it a criminal offense to circumvent barriers to access copyrighted materials, regardless of whether dissemination of accessed materials actually occurs. How much liability does an ISP have? If the ISP didn't have adequate protections in place to protect copyrighted materials, thereby making it quite easy for anyone to access them, shouldn't they be held more liable than an ISP who took extraordinary precautions? What are the proper penalties for illegally shared information? Since copyrighted materials shared online can be difficult to take down, is there a continuous penalty for each time the material is accessed? Courts have not yet determined how to handle the continuous nature of violations. Pinterest presents an example of the debate surrounding sharing copyrighted information. Sometimes, users of Pinterest "pin" copyrighted photos or information to their boards. Owners of this "pinned" information have voiced concerns over this as a violation of their rights. In response, Pinterest created an "opt out" code that copyright owners can embed in their information so that it cannot be "pinned" on Pinterest. The problem with this is that it is typically not the copyright holder's responsibility to protect their copyright, but instead any third-party business concerned about copyright infringement. Therefore, it is technically Pinterest's responsibility to prevent copyright infringement, an action which it did not truly do by creating the "opt out" button. According to Abine, an online privacy company, despite the fact that the federal government and several states have created drafts of laws, there is no singular, comprehensive law that grants privacy rights or protections to Internet users, including users of online communities. This means that rights to data collected and stored online have not been determined and are not uniformly protected. Who is responsible for illegal use or sharing of information posted online? Is it the ISP who is responsible or the individual who disseminated the info? If illegally shared information was already published online, was it truly a violation or illegal to share it? A "safe harbor" protects an individual from legal ramifications in certain instances. The DMCA creates four safe harbor's for ISPs in terms of copyright infringement, including information placed on a system at the direction of a third-party user, such as a participant in an online community. What if the user was merely re-sharing information that was posted elsewhere? What if the user genuinely didn't know the information was copyrighted or protected? What if there is no provable loss, such as no financial loss associated with being unable to sell a book because it was posted online? What penalties can be levied against the user? According to the National Conference of State Legislatures (NCSL), several states have included electronic forms of communication into their harassment and stalking laws. This means that, in these states "cyberharassment" is now a criminal offense. Criminal charges for cyberharassment actions differ in each state. For example, in California, harassment via electronic devices can result in a felony charge and, if found guilty, the need to pay restitution to the government. In New York, however, similar behavior is considered "aggravated harassment" and is a misdemeanor. The NCSL explains that "cyberbullying" consists of the willful and repeated use of electronic communication devices to harass and threaten others. According to the NCSL, this type of bullying has become the focus of schools. What is the threshold for either activity? Although laws state that cyberbullying and cyberharassment are illegal, very few identify a specific line upon which an individual's actions become a criminal offense. What is the proper penalty for a minor engaging in either offense? Is there any way to be certain that the minor understood the full meaning of his or her actions? Although many of the major issues regarding online communities (such as copyright infringement, dissemination of protected or private materials, and bullying) have been recognized by the federal and state governments, how to handle them not been formalized as of the end of 2013. Additionally, the penalties for violations have not been determined, leaving many users questioning what ramifications they may face in the event of a deliberate or unintentional violation.